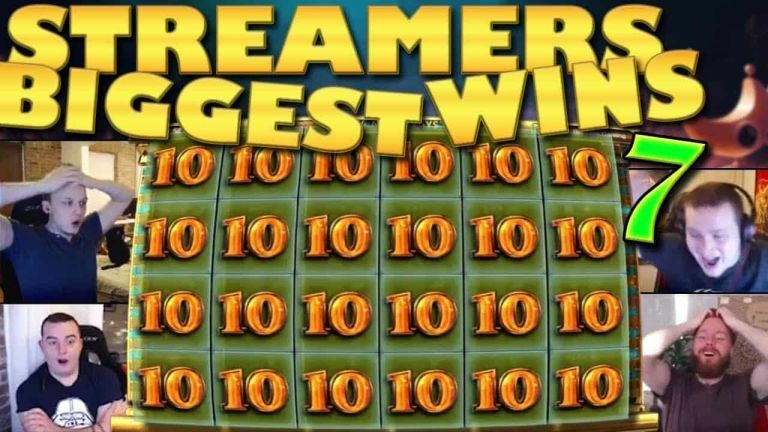 Today’s Casino Streamers Biggest Wins – Week 7 of 2018 is one of those where every slot streamer had a massive win. 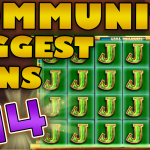 Therefore it took a lot of effort to decide which video slot hits to include in our big win compilation. However after a thorough selection we have for you the best slot machine wins from the 12th until the 18th of February 2018. Lastly, if you want to try any of these slot machines, you can play them, for real money, on any online casino on our trusted casino list. Watch a quick montage of the wins on the video below. Follow the detailed videos of every win from each of the streamer’s personal Channels. 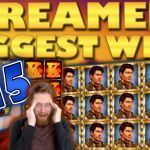 We begin Casino Streamers Biggest Wins – Week 7 of 2018 with D-Lab and his big win on the Pina Colada slot. The casino streamer was playing €2 bets on Super Lenny when he got the re-spin feature. Here symbols that form a winning combo will stick in place and the player will get re-spins as long as similar symbols appear on screen. Thus there is the potential for a full screen. Moreover D-Lab got a premium to stick and thanks to it the total win was a massive €893. Talk about getting payed. Updated: Video removed from YouTube. Good slot streamers can tell if a new game is worth it or not from the first few spins. LetsGiveItASpin liked the new Casino Win Spin slot from the start, and the game did not disappoint. Kim was betting SEK 40, when he got the special feature, while playing at LeoVegas. This feature has huge potential and it gave our streamer a massive SEK 14040 total win. You can read about everything regarding Casino Win Spin on our CG review. It is always strange when I put myself on the compilation. However I wanted to share this incredible win, on the Midas Gold slot, with all of you. 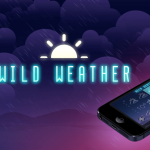 Usually I bet less than SEK 20 a spin, but last week, while playing it on Kaboo casino, this slot game was looking hot. Immediately after the rise the main feature activated. Here the king Midas will select one random symbol which will stick in place. Further, the player will get extra spins as long as similar symbols land on screen. The goal is to fill the entire reel grid with one particular symbol. In my case that was the “Q” and the result was 243 winning ways and a big SEK 6804 pay- out. Midas Gold is definitely my favorite Red Tiger slot Machine. 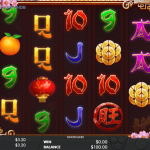 We always enjoy when we include new slot streamers, for the first time, on our compilations. This time we have Ki4Life, an extremely enjoyable to watch streamer which we highly recommend. Ki4Life was giving it a go, on Danger High Voltage, last week. While playing €1 bets on VideoSlots, he triggered the free spins. Moreover, the game picked the “J” as the special transforming symbol. Hence the bonus gave multiple sticky wilds and a €1106 massive win. Well I guess we can not have a compilation, nowadays, without at least one Reactoonz win. MiikaPekka was playing €2 bets on Rizk casino when he released the monster. As most of you know Gargatoon is the big wild which can appear on the reels, in three forms. It was on the second form with two medium size wilds that our streamer got the massive €1549 win. 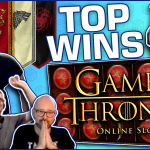 We end Casino Streamers Biggest Wins – Week 7 of 2018 with an ultra big win on Queen of Riches. Shirox was the one playing this volatile slot, last week, on a €4 bet. The lucky spin was looking like a lag in the beginning, but then 3 reels started to sync with each other. Moreover the 4th joined in and then the 5th. Now all the slot streamer needed was a stacked symbol. That symbol was the 10, and a full screen of it resulted on a super epic €9830 total win. Try this slot on Highroller, and let us know if you can get a better hit. Tell us which win on Casino Streamers Biggest Wins – Week 7 of 2018 was your favorite. Share your thoughts in the comments. Also make sure to check our other videos on CasinoGround’s YouTube channel.